Play-Watch-Teach-Learn. 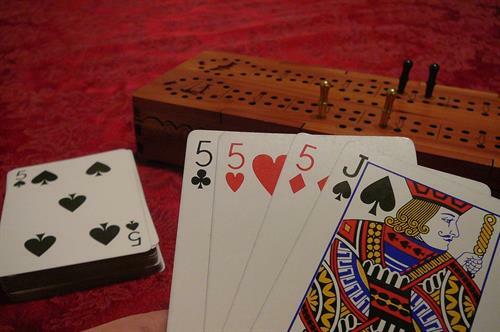 Cribbage is one of the greatest of card games, combining luck, skill, and strategy! Come to Steel Wheels-Dining Car #423 every Wednesday night for our Cribbage Social. Hang with old friends, meet some new, and play Cribbage! Bring your own board and cards or we will have plenty. We will offer $1.00 off all tap beers and well drinks, plus $2.00 off appetizers while the kichen is open.